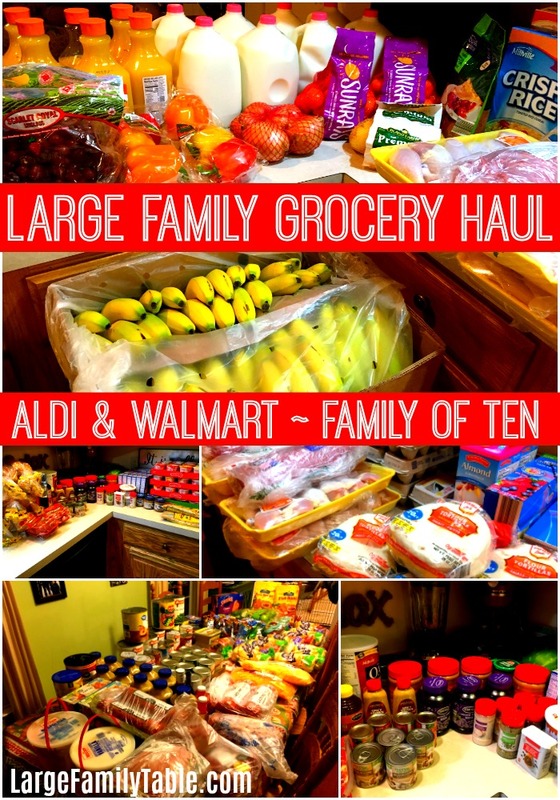 Large Family Grocery Haul | ALDI & Walmart | Grocery Therapy Needed ? In October (I know October, and here we are at almost Thanksgiving when I’m publishing this #howIroll), I went back into ALDI for the first time since last spring when I was in the heat of 3rd trimester pregnancy. Around that time the heavens parted and the dear Lord above shone his mercy upon me as Walmart Grocery Pick Up became an option. As much as I have continued to love Walmart’s online ordering and grocery pick up, I couldn’t wait until I was able to actually walk back into ALDI again. Once you love ALDI it’s hard to shop anywhere else. You kinda feel like you’re cheating or something by shopping at another store. However, as you’ll see in my new Large Family Grocery Haul vlog, I had a confusing shopping reunion experience at ALDI this go round. I felt like I needed grocery therapy by the time it was all over. Many of the prices were similar to Walmart’s and not too much excited my large family mom shopping brain in the store. I take you out shopping with me, share my deep grocery feelings, and both the ALDI and Walmart hauls back at home in today’s new Large Family Grocery Haul vlog. Click here to watch the full Large Family Grocery Haul | ALDI & Walmart | Grocery Therapy Needed vlog! HERE are all of my marathon grocery shopping hauls! Find much more in My Kitchen including large family recipes and freezer cooking large family style! I’m with you on the Aldi prices. I’ve been buying our meat at a nearby Piggly Wiggly because they have such great deals – way better than Aldi. I just got boneless, skinless chicken breasts for $0.99/pound and they didn’t have a limit so I bought 25 pounds. Even with a family of 9 that will last a while. I still love Aldi when I don’t want to compare prices and just want to buy everything on my list. Oh yeah! I would have bought 25 lbs too!!! How come you aren’t doing you grocery break down anymore? I am a numbers type of woman and seeing numbers makes things add up easier for me. 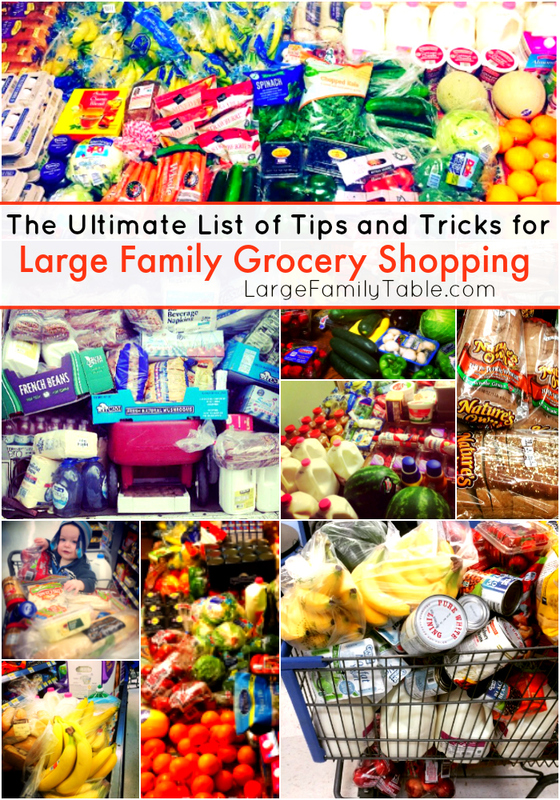 It was really helpful in your other grocery hauls. Because many times doing those grocery price breakdowns for *these many* groceries takes me several hours. I always plan to do it, but as you see I go through a season where I just can’t get the numbers on the blog. I do share the numbers in the YouTube videos though!